After a long time away, Alex Lawson returns to F This Movie! so that Patrick can remind him who he used to be. 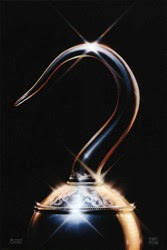 And that Steven Spielberg's Hook is a terrible, terrible movie. I grew up with this movie in my household and now for the life of me I can't remember anything I liked about it. Maybe Robin Williams? Glad to know I never have to return to it.